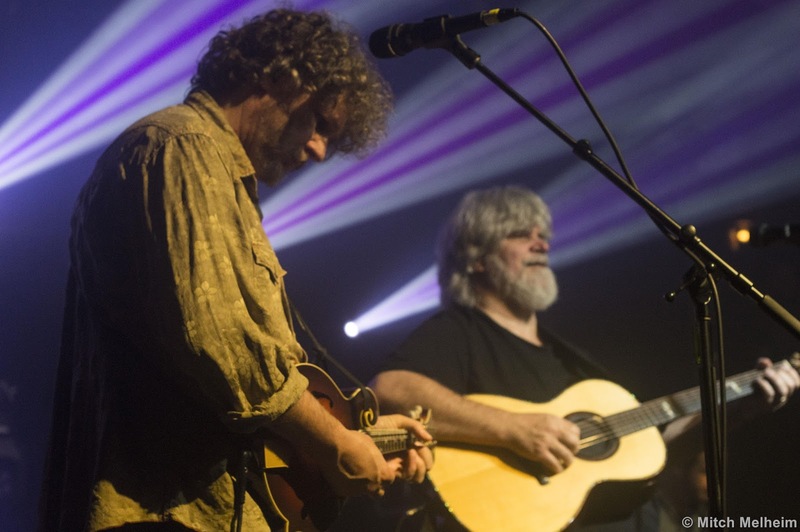 Very few bands can encapsulate the feel-good energy that Leftover Salmon consistently brings to the table. Throughout numerous lineup changes, the band’s founding core of Vince Herman and Drew Emmitt have provided a steady backbone that has managed to keep fans smiling and dancing for over 25 years. 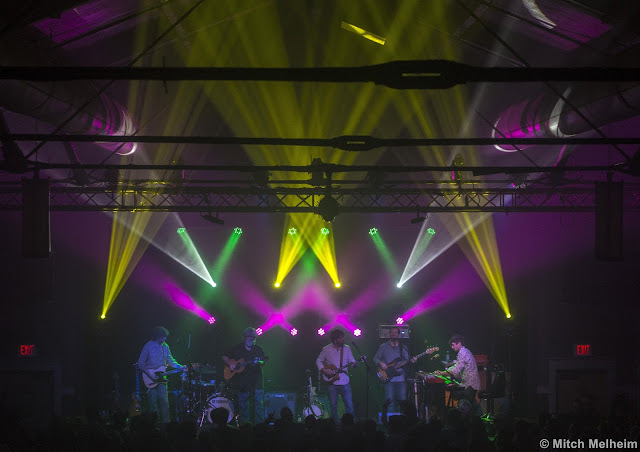 The tradition continued on a rainy Sunday night at Portland’s Wonder Ballroom as Salmon provided a ray of sunshine amidst the gloomy Oregon winter. Wasting no time, the dance party had begun with a jammed out “Keep Driving” opener that led into “Lonesome Road.” The band displayed their versatility as they branched away from their bluegrass start towards an island-sounding “Jokester.” The set eventually found its way back to bluegrass for “Light In The Woods,” but was followed by the twangy and explosive “Funky Mountain Fogdown.” Two horn players, Mark D’Angelo on trumpet and Nick La Rivere on trombone, then joined the stage for a cover of The Band’s “Ophelia” that ended the first set. The appropriately-named “Euphoria” kicked off the next set of music with more help from the horns, this time replacing D’Angelo’s trumpet with Sean McClean’s (World’s Finest) saxophone. The horns stayed up for the playful segment of “Boo Boo” > “Gimme Da ’Ting” > “Boo Boo” before leaving the stage to the six members of Leftover Salmon to dive into some deep improvisation. The first of which was the funkiest jam of the night, a ten minute “Wild Bill Jones” fully-equipped with scratchy guitar from Herman and Greg Garrison’s gurgly bass. 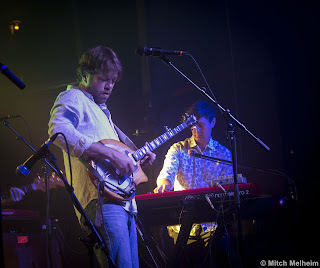 “Playing In The Band” followed and segued into the ominous “Ask The Fish,” eventually leading back into the Grateful Dead cover before a soaring and uplifting “Breakin’ Thru” worked fans into a frenzy fueled by Emmitt’s mandolin. The band seems to have found their groove with new keyboardist Erik Deutsch, who has done an admirable job of replacing Bill Payne after his departure to the Doobie Brothers. 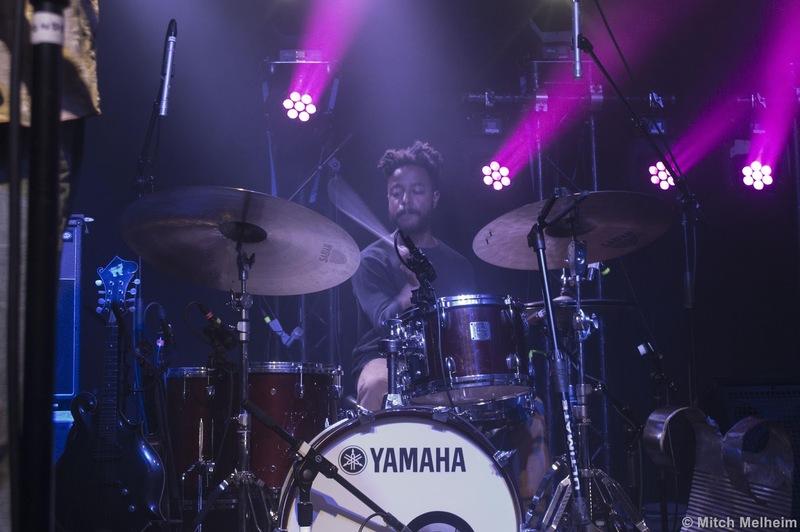 He deploys a significantly different style than Payne (or Bill McKay before him, for that matter) in that he often chooses to provide an atmospheric texture to jams, allowing a platform for the rest of the band to improvise over. This combined with the spacey effects that Andy Thorn often applies to his banjo makes for the most psychedelic Leftover Salmon lineup yet.